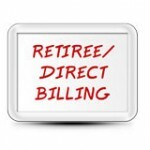 Retiree and Direct Billing Services from BCL Systems - BCL Systems, Inc.
Can your retirement plan afford $19,800 of free coverage? If you currently don’t direct bill retirees or other employees who have benefits but are not currently on your payroll, you could be losing money. That is what happened recently when an audit revealed that a retiree had not paid premiums for over three years and yet the coverage was not terminated. The sad fact is this figure would be even higher if you took into account the claims that had been paid during that time and the exposure to a possible payment under the life insurance policy that had also not been paid. The same situation can occur with employee’s who are on unpaid leaves of absence, such as FMLA leave. Do you currently have to deal with former employees (retiree’s) or current employees who are no longer on your payroll, but still are covered under your employee benefit plans? When keeping track of these payments slip through the cracks, employers can face more than the loss of the premium payment. Failure to adequately bill and track benefit plan payments can not only result in loss of revenue due to payment of premiums that were in effect not paid, but can also in some cases put you at risk for future claims if not handled properly. BCL Systems, Inc. has a full range of services that can help you ensure payments are made on a timely basis and that any unpaid coverage is terminated to avoid additional claims being paid. How will the Affordable Care Act affect the Direct Billed Employee and/or Retiree? Under the new healthcare law, pre-65 retirees may find coverage through the Health Insurance Marketplace more affordable. Also, employees who currently are being billed directly may have questions on how the Affordable Care Act affects them. BCL Systems can explain the law to the retirees and employees as well as help them investigate their options. HR Help Desk– Your own HR Expert in your pocket!